How far can the networked content be maximised this summer as Macquarie Sports 882 covers the cricket? Although most of the content comes out of 4BC and sometimes 3AW, the station maintains a local Brisbane drive show. Ben Davis handed in his resignation as drive host in July with his moving “It’s not you, it’s me” farewell on-air, and Mark Braybrook subsequently took over the shift. A station 10+ share of 5.3% has been close to the station average over the past three years and it peaked at 6.2% at the end of 2017. Alan Jones in breakfast on 6.4% is well below his best of 8.4% last year. 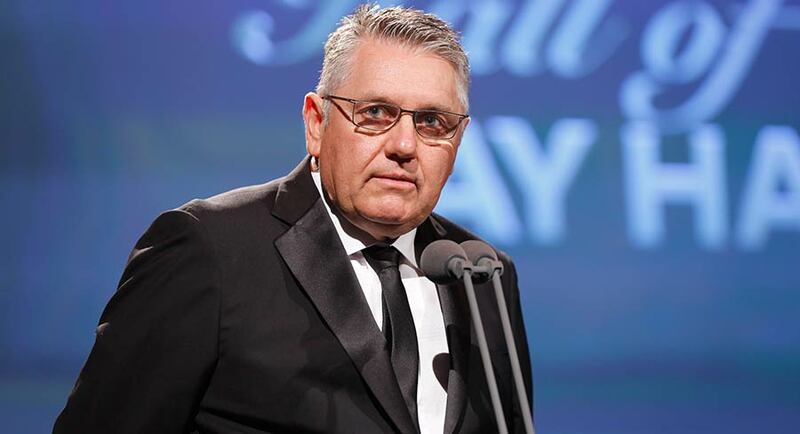 Ray Hadley’s 7.2% is the station’s strongest slot at present. After survey five, Macquarie Media noted the station has posted growth in cumulative audience across the dayparts. Macquarie Sports Radio had a steady survey, which is about the best spin you could put on it. The new Sydney-Brisbane breakfast show with Mark Levy and Mark Riddell has only been on air for a month and the station noted it is seeing a terrific response from listeners, both on the open line and online. 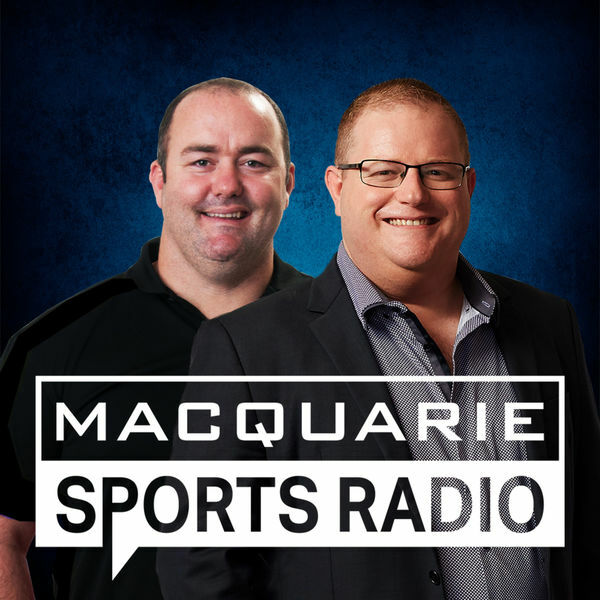 With the rights to NRL, AFL, the Spring Racing Carnival and men’s and women’s international cricket over the summer, Macquarie Sports Radio could be poised to add some Brisbane sports fans to its listening base. With an audience cume of just 28,000, that couldn’t come quick enough. In the first part of this interview, Jones and Keller opened up about their early days at the station and Jones revealed he thought his career in radio was going to die before his Keller arrived on a white horse. The WSFM station that Jonesy joined in 2003 was very different from what it is today. “There’s a billion,” Jones answered. “Yes. It’s much more competitive,” Keller said. The Sydney radio landscape is undoubtedly cutthroat. However, 13 years after their first show on WSFM, Jones and Keller remain as competitive as ever. This was proven in the fifth radio survey for 2018, where they toppled ARN stablemates at KIIS 106.5 to become Sydney’s new #1 FM breakfast. Kyle and Jackie O had occupied that position for a long time. Sky News has announced new digital content initiatives and investments following record-breaking online results across its platforms during August. Last month’s Sky News coverage of the Liberal leadership crisis set new audience records on-air. The channel delivered its highest weekly evening ratings and its highest-rating day in history (August 24) with a 5.98% share on Foxtel, out-rating Ten. Sky News digital also delivered record numbers online in August, with more than 16 million video views during the month. This is a double-digit growth across all video platforms including SkyNews.com.au and associated OTT apps (+42%), Twitter (+43), Facebook (+63%), Sky News videos on News Corp Australia websites (+38%) and international SVOD platform Australia Channel (+93%). Editorials and interviews from the company’s on-air team of Paul Murray, David Speers, Peta Credlin, Andrew Bolt, Alan Jones, Rita Panahi, Graham Richardson, Janine Perrett and Warren Mundine will be available across the Sky News digital video network at SkyNews.com.au, on mobile and tablet apps, and through the Apple TV app. Video content published to SkyNews.com.au/Opinion is also available across News Corp digital platforms including news.com.au, The Australian, The Daily Telegraph, the Herald Sun and Bolt’s blog. Sky News podcasts have delivered over 48% year-on-year growth in streams. Following its recent successes, the company will also be a launching a politics-focused digital content platform in February 2019. It will target Australia’s influential professionals, politicians and politically engaged consumers and will provide analysis and breaking political news from Canberra and across the regions. 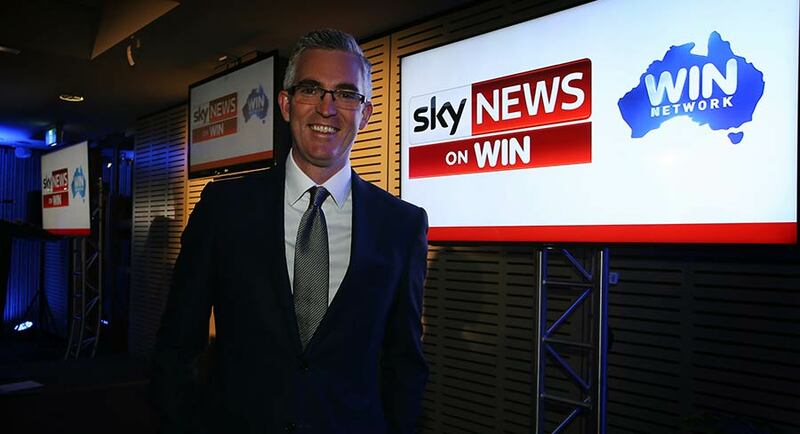 Short-form digital content such as newsletters, podcasts, and live and on-demand streaming will be supported by on-ground events and across the Sky News television channels available on Foxtel and regional free-to-air via the WIN Network. In the light of the new announcements, Sky News is currently recruiting for an editor and a producer for its politics-focused digital content platform, an audio producer to spearhead its audio strategy, as well as a digital product manager, digital marketing manager and digital partnerships manager to assist with delivery of the new initiatives. “The expansion of the team is a commitment to delivering content in the ways in which people now keep across national and global affairs. Our investments in digital are a testament to the fantastic work of our team of passionate digital producers. We look forward to working with our advertising partners to extend their messages across premium content in more ways than ever before,” Love said. This year’s Emmy Awards were weird this year – and very dull. Its hosts were unknown and unfunny, leaving Aussie presenter Hannah Gadsby to totally steal the show from them. And it was also unfortunate that The Marvelous Mrs. Maisel won so many gongs when so few have seen it (Jesus, do we really have to get Amazon Prime as well as Foxtel, Netflix and Stan?). As for Darren Criss beating Benedict Cumberbatch as Lead Actor in a Limited Series, seriously? Now don’t get me wrong – The Assassination of Gianni Versace: American Crime Story is one of the year’s best shows, and Criss was good playing a disturbing serial killer. 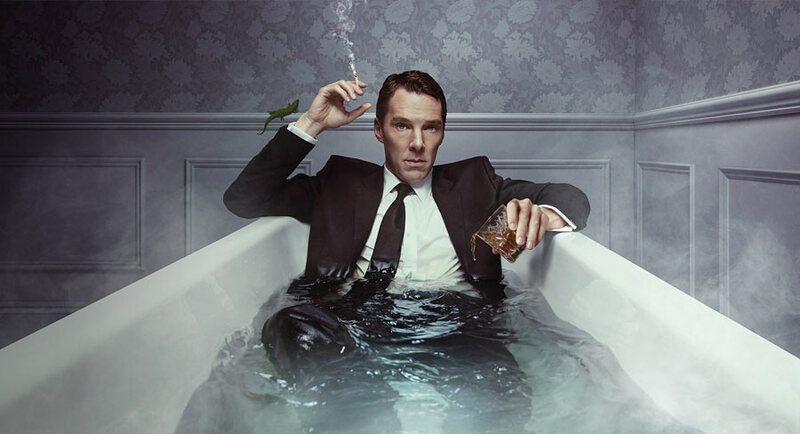 But did any Emmy voters actually watch Patrick Melrose with Cumberbatch presiding over five gut-wrenching episodes? Foxtel must not care that the ratings were low for its telecast, because it still shows the majority of Emmy winners including Game Of Thrones, The Americans, Barry, Westworld, Saturday Night Live, Last Week Tonight and The Assassination of Gianni Versace. Right now, Foxtel is also airing the most interesting dramas including The Deuce, Pose, Mr. Mercedes, A Very English Scandal and American Horror Story: Apocalypse. With a horrific new twist on an end of the world scenario, not to mention the presence of Joan Collins, American Horror Story: Apocalypse is already doing what every other series to date has done. After a sensational opener, the second episode was messy as, and no doubt it will all collapse in a bloody heap again by season end. But given previous series Murder House and Coven are already converging and former regulars Jessica Lange, Stevie Nicks and Connie Britton are all coming back, it’s still worth sticking around for. There is no need for any supernatural horror in BBC First’s A Very English Scandal although the freaky rubber man would not be out of place in the UK upper class system on display here. Hugh Grant abandons his rom-com persona to play a disgraceful politician while Ben Whishaw proves his versatility playing his twitchy scorned lover during a time when homosexuality was illegal. At just three episodes, it’s a quicker watch than most. AHS: Apocalypse is from the endlessly prolific Ryan Murphy while A Very English Scandal comes from the less busy but equally talented Russell T Davies. Murphy’s next show will be about One Flew Over The Cuckoo Nest’s nasty nurse as played by one of his regulars, Sarah Paulson. Meanwhile, Davies is working on a drama about regular guys living in “bedsits”. Hopefully there’s a role in it for Joan Collins. Bauer Magazines has taken a cautious approach to developing media websites and focused heavily on print titles in the past. Former New Zealand boss Paul Dykzeul, who now runs Bauer Media Australia, was sceptical about pumping resources into websites. The publisher has caught up now, but North & South editor Virginia Larson says Dykzeul was right to be nervous about magazines. “We did not move away from the core. Now we are benefiting from the additional numbers for the magazines from digital,” Larson, who has been editor since 2008, told Mediaweek. “Pioneers get arrows in their back,” she said. Larson joined the current affairs title as a staff reporter in 1996 after spending much of 80s and early 90s writing in Australia and the US. 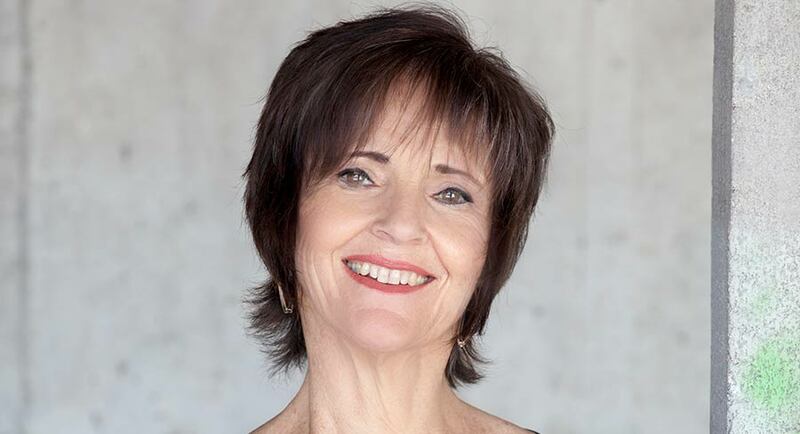 Her journalism career started at the NZ Woman’s Weekly, and she moved to Sydney as a writer for Cleo magazine in the mid-80s, “the last days of the centrefold”. She moved to Los Angeles and for five years was US West Coast Correspondent for the Daily Mail, covering Hollywood. North & South has a unique place in New Zealand journalism. It has focused on long-form feature journalism, steering clear of polemic. It launched in 1986 as a nationwide alternative for sister city publication, Metro, focused on Auckland. Like all print titles they face challenges. They have distinct brands, and arguably North & South has been more resilient than Metro, which recently went bimonthly. Typically, North & South is 130 pages with a central story of 5,000 or 6,000 words, up to 8,000 words. It’s a format that calls for commitment from readers. Larson said: “We are unapologetically parochial. We might do a story profiling an interesting expatriate, but we are always trying to focus on heartland New Zealand. “We sell disproportionately higher numbers in South Island provinces like Otago and Canterbury,” she added. The association with Auckland is nuanced. North & South’s gaze is naturally to the provinces, but Auckland is still a part of New Zealand, with experts based in the city with one-third of New Zealand’s population. You cannot ignore Auckland, she said. A survey late last year found that the readership of 240,000 is politically non-aligned “ down the middle”, but the focus on a provincial and older audience means North & South is mainstream, some would say conservative. The average age for readers is early 50s. “It is for people who have kids in school and who care about what is happening in local bodies. “We have shown there is an market for people to read long-form journalism with stories several thousand words. There is a lot of information out there but they appreciate journalism, which does the sifting and the research, and checks facts. We rate highly for trustworthiness,” Larson said. North & South content is run online through Bauer’s free website Noted, which also features selected items from current affairs titles The Listener and Metro, and it allows Larson to update features in the monthly magazine. Its 450,000 monthly page impressions are not in the league of nzherald.co.nz or stuff.co.nz. “There is no lack of good journalism in New Zealand. There is so much information, but it is harder to find. It concerns me that intelligent middle-class people will be captured by media-promoting clicks,” Larson said. Mediaweek’s John Drinnan rounds up all the latest media news from New Zealand. Sky TV says early indications are that splitting its basic package by introducing a 40-channel starter pack has been good for business. Chief executive John Fellet said in the annual report issued yesterday that churn had fallen slightly for the year to June 30. Fellet said results indicated that people who downgraded were spending on other Sky services. The cost of the starter package is $24.91 compare to the wider basic package of $49.91. The CEO’s report will be the last from Fellet, who leaves later this year after 27 years with Sky, the past 17 as CEO. The annual result for the year to June 30 showed underlying profit of $116.3 million, and a loss of $240 million after a $360 million write-off in goodwill. NZME has had a good result in the third quarterly survey for 2018. Rival MediaWorks accentuated the positive results for music station More FM. NZME managing editor Shayne Currie said the group’s lead in Auckland had grown. NZME operates a combined newsroom, which includes NewstalkZB and Radio Sport. It added 32,000 listeners over the latest survey period. Rival MediaWorks lost 30,000 listeners. 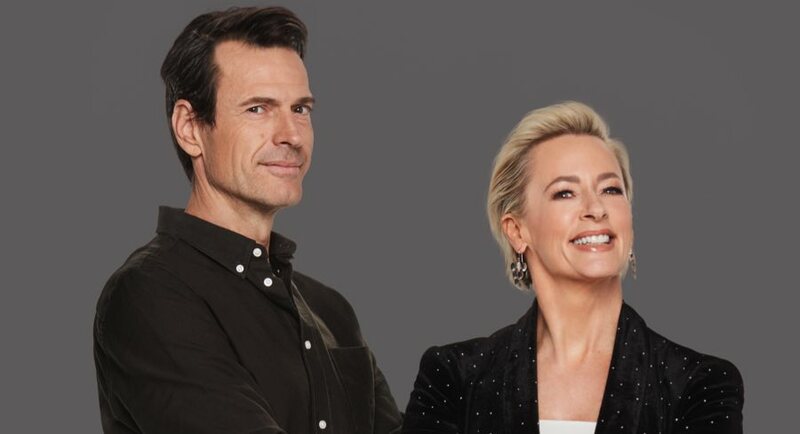 According to Thursday’s GfK Total New Zealand Commercial Radio Survey results, the MediaWorks station held an 8.8% share and increased its overall listenership by 20,300 to reach 586,700 listeners nationwide. MediaWorks Radio’s group content director for music, Leon Wratt, says the total overall radio listenership was stable It was a relatively business-as-usual book, I suppose,” he said, but he predicted NZME “will also be happy” with the survey results. 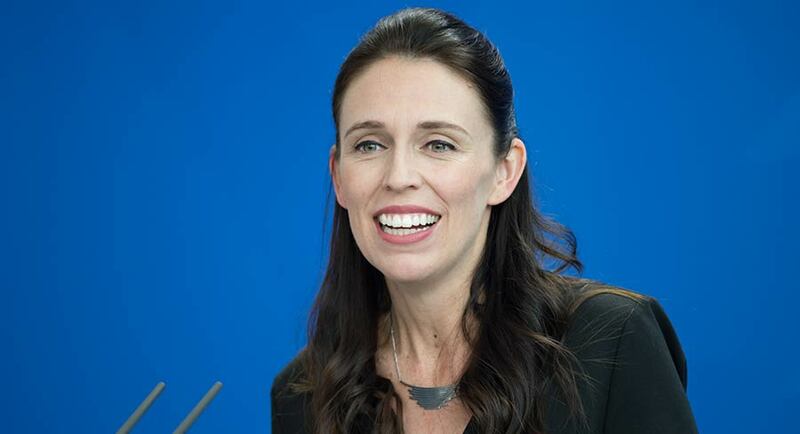 Prime Minister Jacinda Ardern joined the New Zealand Herald editorial team on Tuesday as the guest editor of the 125th Anniversary Suffrage edition. The edition marked the anniversary of New Zealand being the first country in the world to adopt universal suffrage on September 19, 1893. Owners of the Herald NZME heavily marketed the initiative but drew a mixed reaction on social media, with critics questioning the symbolism of a newsroom being handed over to the PM. Arbiters for the Harmful Digital Communications Act (HDCA) have turned away an attempt to use it against news media, to the relief of news organisations. The mechanism is aimed at mediating social media disputes. The controversial scientist and entrepreneur Sir Ray Avery complained about website Newsroom, which ran a series of articles questioning his claims to success. Newsroom has refused to take the articles down. Netsafe spokesman Martin Cocker said that there was not enough clarity in the Act about the implications for media and Avery was able to take his issues to the district court. Stuff reported that seven New Zealand On Air funded shows in the past year had an initial broadcast audience of fewer than 10,000 people. Of the 11 shows with the lowest first-run audiences broadcast in the year of July 31, 2018, 10 of them were shown on Māori Television in Three’s weekly Māori current affairs show. The other programs were a mix of current affairs, documentaries and comedies, with the fourth season of media commentary program Media Take “enjoying” the lowest average figure of 3,474 across its 20-episode run on Tuesday nights (although a Sunday morning repeat also generated roughly the same figure). It received New Zealand on Air funding of $479,865. Bauer Media has formed a joint venture with Auckland Council to produce and distribute the Our Auckland magazine. 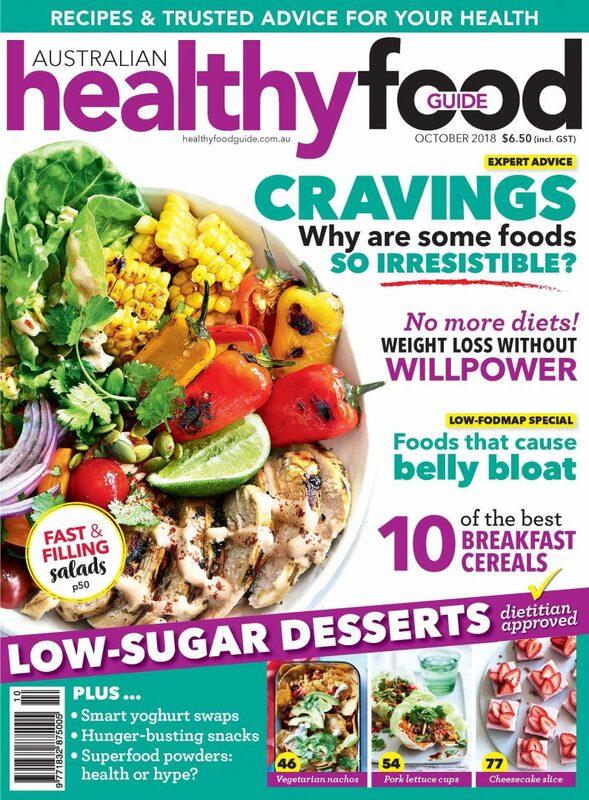 The new-look magazine will launch in December. The magazine will be funded in part by up to 10 pages of advertising, to be secured by Bauer. The Council will retain full editorial control. The absence of The Block last night saw Nine’s primary channel share fall to #3, behind TEN and Seven. Its primary share was 16.6%. The News and A Current Affair were its two most-watched programs. RBT, Hot Seat and Driving Test were all inside the top 20 with 480,000, 448,000 and 425,000 watching respectively. The Footy Show did 373,000. The News was Seven’s most-watched show with 954,000 tuning in 6pm, then 937,000 staying on at 6.30pm. The Chase Australia and Home and Away were its most-watched non-news programs. The former had 553,000 tuning in to Seven in the afternoon. Home and Away did 545,000. The channel won the Thursday night TV audience by a narrow margin of 0.1%. It had a primary share of 18.9%. The winning night was helped by the success of The Bachelor and Googlebox Australia, which ranked #3 and #6. The Bachelor was the most-watched non-news show of the night. An audience of 882,000 watched Shannon telling Nick that he hadn’t really got to know her and he should’ve given her another day. This departure from the house had all the remaining Bachelorettes in tears. Earlier in the night, The Project had 514,000 watching. Author Liane Moriarty was the special guest on the show. The channel had four programs in the top 20 last night. The News had 652,000 watching, followed by 7.30 on 492,000. Grand Designs Australia was ABC’s most-watched non-news show with 399,000. Loch Ness did 343,000. The ABC’s disputed report claiming media proprietors Rupert Murdoch and Kerry Stokes conspired to trigger the demise of former prime minister Malcolm Turnbull could be headed for scrutiny by federal parliament’s Senate estimates committee, reports Stephen Brook in The Australian’s Media Diary. A member of the committee said yesterday he would consider quizzing the ABC about the story, which was strongly rejected by Stokes, the Seven West Media chairman. The report by political editor Andrew Probyn claimed that Murdoch, executive chairman of News Corporation, told Stokes that “Malcolm has got to go” and the pair were involved in “a tug of war” over the prime ministership. Nationals senator John Williams, a member of the environment and communications standing committee, said he would consider raising the matter at the estimates hearing scheduled for October 22. British regulators said Comcast Corp and 21st Century Fox will settle their takeover battle for Sky Plc via an auction starting on Friday, setting up a dramatic climax to a 21-month sale process that has pitted some of the world’s biggest media and entertainment giants against each other, reports The Australian. The UK Takeover Panel said the auction would consist of a maximum three rounds of bidding, starting on Friday and ending on Saturday. The winning offer would be announced Saturday, the British regulator said. Auctions are unusual for corporate deal making, and extremely rare for settling a takeover of a public company the size of Sky. The British broadcaster has a market capitalisation of more than $US35 billion ($48bn), and a successful bid could likely top that. Sandwiched between Building 20 and Building 21 in the heart of Facebook’s campus, a 7.6 metre x 10.6 metre conference room is under construction. Thick cords of blue wiring hang from the ceiling, ready to be attached to window-size computer monitors on 16 desks. On one wall, a half dozen televisions will be tuned to CNN, MSNBC, Fox News and other major networks. A small paper sign with orange lettering taped to the glass door describes what’s being built: “War Room”. Although it is not much to look at now, as of next week the space will be Facebook’s headquarters for safeguarding elections. More than 300 people across the company are working on the initiative, but the War Room will house a team of about 20 focused on rooting out disinformation, monitoring false news and deleting fake accounts that may be trying to influence voters before elections in the United States, Brazil and other countries. “We see this as probably the biggest company-wide reorientation since our shift from desktops to mobile phones,” said Samidh Chakrabarti, who leads Facebook’s elections and civic engagement team. The company “has mobilised to make this happen”. Australia’s biggest insurer, Brisbane-based Suncorp, decided to ignore a watchdog investigation into its dodgy advertising and push ahead with new misleading ads after working out that the cost of a tiny fine paled in comparison to the millions it could earn in insurance premiums, report Michael Roddan and Ben Butler in The Australian. The royal commission heard the Australian Securities & Investments Commission ultimately gave Suncorp’s insurance business AAMI a wet-lettuce slap for the conduct, with a fine of just $43,800 – or 0.001% of the $426 million in in-force premium revenue the company was earning on its “complete replacement cover” policies that year. The watchdog’s decision in November last year not to pursue fines of up to $7.2m available at the time by taking Suncorp to court also let the company off the hook for any admission of wrongdoing – a move that enabled its chief executive of insurance, Gary Dransfield, to tell the commission yesterday it remained the insurer’s official position that the advertisements were not misleading. As the battle for millennial eyeballs and attention continues, youth magazine-turned-media giant Vice thinks it has cracked the code, reports David Swan in The Deal. The company, which has grown from small beginnings to a valuation of US$5.7 billion ($7.9 billion), takes a surprisingly small-scale approach to the stories it tells. A ferocious focus on the local is what differentiates Vice in a crowded marketplace, where it’s competing against media outlets such as BuzzFeed and Junkee, as well as smartphone apps such as Instagram and Snapchat.”If you ask young Australians today what Vice means to them, they’ll tell you about our local videos,” Vice Australia managing director Myki Slonim says. Slonim, who has led Vice’s local arm since it began 15 years ago, points to one story – about Melbourne’s “croc lady” Vicki Lowing – as an example of videos that manage to rack up millions of views, largely from infamously fickle millennials. “She has five crocodiles at her home,” he says. “It’s a little sanctuary, and that’s a simple, fascinating story that got four million views on Facebook. Are Bert and Ernie gay? For years, the team behind Sesame Street has explained that, no, Bert and Ernie are… puppets. But try telling that to the Twitter mob, reports the Wall Street Journal. Mark Saltzman, a scriptwriter for Sesame Street in the 80s and 90s, has revealed that he always imagined Bert and Ernie as “loving partners”, drawing on his own experience as a gay man. In response, Sesame Workshop issued its usual statement about how the characters “were created to teach preschoolers that people can be good friends with those who are very different from themselves”. Despite the duo’s human traits, “they remain puppets, and do not have a sexual orientation”. In what could only be described as a Clayton’s bombshell – the news you drop when you’re not dropping any news – Sam Newman has announced he might be quitting The Footy Show, unless of course it comes back and Nine still wants him to be a part of it, reports Karl Quinn in The Sydney Morning Herald. In his opening address on the show on Thursday night, Newman tackled head-on the speculation over his future that has swirled in recent weeks, fuelled by the worst ratings in the show’s 25-year history. “This station won’t or can’t tell us if this show will be on next year, either in this format or in some other format,” he said. Longtime larrikin host Sam Newman has given the strongest indication yet that The Footy Show is on its last legs, with an emotional farewell to viewers on Thursday night, report Josh Fagan, Alice Coster and Colin Vickery in the Herald Sun. Newman walked onto the set alone before speaking for almost 10 minutes, recounting his checkered history in front of the camera. “This could well be the last in-house Footy Show that we do after 25 years,” Newman said. Peta Credlin has lashed out at a “drought of professional integrity” among journalists who “consistently reported rumour as fact”, after some reports of Tony Abbott’s Warringah preselection vote suggested the former prime minister had dramatically lower levels of support than he actually received. Speaking on her show Credlin on Sky News on Thursday night, she criticised the Financial Review’s Phillip Coorey for misreporting the numbers from the vote, and claimed he abused her when she challenged him about it. Jamie-Lee Dayz, 27, is the latest woman to be eliminated from this season of The Bachelor, with Nick “Honey Badger” Cummins bidding farewell to the Bondi venue manager in Wednesday night’s episode, reports Genevieve Rota in The SMH. Though Dayz was only on the show for a total of two weeks – or five episodes – she caused something of a stir with her arrival. Inside the mansion, the original bachelorettes were somewhat threatened by Cummins’s instant attraction to Dayz (though they needn’t have worried – it quickly fizzled out). The creator of TV legal dramedy Rake has said “sorry” to disappointed fans as discontent mounts amid claims the show has jumped the shark with increasingly bizarre twists in its fifth season, reports Lydia Pedrana in The Daily Telegraph. But creator, writer and director Peter Duncan also claimed mitigating circumstances in his defence, noting that Rake’s action had moved from a legal to a political setting. “I can see why people might be disappointed but we’re having fun with it, so I’m sorry,” he said. “We changed it from a legal program to a political program because we thought we’d done enough with the law. Crazy Rich Asians actor Ken Jeong is heading to Australia to shoot a starring role in Occupation: Rainfall, the sequel to the 2018 Australian sci-fi film Occupation. Jeong will be in the country in early October, shooting in locations across Australia including the Hunter Valley and the Gold Coast. He will join actors Temuera Morrison (Aquaman), Dan Ewing, Stephany Jacobsen (Revenge, Battlestar Galactica), Aaron Jeffery (X-men Origin: Wolverine), Zac Garred, Izzy Stephens, Trystan Go, Lawrence Makoare (The Lord of the Rings, Marco Polo), Vince Colosimo (Body of Lies, Underbelly) and Tamala Shelton (Cleverman). The film will be will be produced by mother and daughter duo Carly and Carmel Imrie (Occupation, Red Billabong). Joining them is American co-executive producer Todd Williams (The Nun, Alex and Me) and co-writer Felix Williamson (Avalon Now, The Circle). Jeong will be seen in the upcoming films Goosebumps 2, Boss Level and Wonder Park. In 2019, he will serve as a judge on Fox’s celebrity singing competition The Masked Singer. Jeong is also set to headline his first standup comedy special for Netflix, Ken Jeong: First Date. The Australian’s digital editor Daniel Sankey has introduced some changes to the news outlet’s comments section. Users are being made aware of the changes through an article post on The Australian website. It will now use a new comments platform called Coral Talk. This is the same platform used by Wall Street Journal. While the users will not see additional functionality initially, the biggest advantage of the new comments platform is that it is “customisable”, Sankey said. New features to improve interactivity are to be rolled out in the coming weeks and months. Following this development, The Australian will be changing its comment moderation team with the aim of decreasing the time it takes for comments to be reviewed and published, as well as ensuring consistency in the application of its comments policy. Sankey listed the following changes for users to keep in mind. • In the past, comments were marked as pending while they were sent for review. With the new update, your comment will be hidden while in review. Please be assured, your comment is not lost – your words will return as soon as they have been approved. • Journalists will now be tagged to make it easier to see when they reply to comments. Editors will also be able to apply a “featured” tag to comments that they feel are particularly insightful, amusing or noteworthy. In the future, we’ll be displaying these comments more prominently on our article pages – bringing your thoughts and ideas directly into news feeds. • We’re also applying new pre-moderation filters to help us get your comments posted as quickly as possible. These filters include a list of banned words and phrases, so if you want your comment published, please keep it G-rated… that means no swearing, no jumping into the gutter and definitely no remarks of a legally sensitive nature. Remember, we’re not like Facebook, which claim it’s a technology company with no responsibility for the content that’s posted on its platform. We’re a publisher, which means we take responsibility, legally or otherwise, for everything that appears under our masthead, including your comments! • Additionally, in our old system, moderators were able to edit comments if the odd swear word appeared… in the new system, however, that’s not possible. If a swear word or other objectionable material appears in your comment, it will be deleted. So once again, keep it G-rated. If in doubt, leave it out! The Australian digital editor has urged users to send their feedback about the new system and report any bugs by contacting him at daniel.sankey@theaustralian.com.au. It is joked about in media circles as a worker’s paradise, but staff at left-leaning website Guardian Australia could go on strike over a pay dispute, reports Stephen Brook in The Australian’s Media Diary. They will join journalists’ union the MEAA to apply for a protected-action ballot order at the Fair Work Commission today. The staff has unanimously rejected the latest pay offer of a 2.25% rise. The site has offices in Sydney, Melbourne, Canberra and Brisbane. Guardian Australia declined to comment. InStyle Australia’s Premium VIP shopping night, InStyle Shops, will return to Sydney’s Macquarie Centre this year. The event will be held on September 27. First launched in 2017 and held twice a year, InStyle Shops is a partnership between Pacific Magazines’ InStyle and Macquarie Centre. The event gives shoppers access to exclusive in-store discounts as well as one-on-one styling advice from the InStyle team who are on hand to guide shopping purchases. Initially conceived to showcase Macquarie Centre’s Fashion Galleria, the event has now expanded and for its fourth outing moves to a Thursday night to coincide with late night shopping. Brands participating in the event include Mimco, Nine West, Oroton, Osker, SEED, Sheike, Thomas Sabo, Trenery, Zimmermann, Alice McCall, Calvin Klein, Mecca Maxima, Lovisa, Jurlique, Betts, Bonds, Bras N Things, Levis, Lorna Jane, Midas Shoes, Wittner Shoes, Wanted Shoes, Seafolly, Oxford, Windsor Smith and more. Shoppers can activate discounts with an InStyle Shops wristband and the first 500 guests will receive an InStyle giftbag. Broadcaster Alan Jones in The Australian: Post Argentina, it is hard to know where to turn in relation to the Wallabies. I don’t want to add to the team’s misery, but we have hit rock bottom. Seventh in the world. No result should pitch and turn on one pass! It is easy to condemn Israel Folau for failing to pass right at the death, but he was also responsible for a magnificent piece of individual rugby in scoring, early on, a glorious try. But individual performances don’t win Test matches. It is the team that wins. And the Wallabies lack this sense of team – not in spirit, but in execution. There is an absence of skill in transferring the ball from one player to another. Possession is surrendered or wasted. The red lights are flashing. AFL games will be broadcast in 4K ultra high definition for the first time next season, with Foxtel CEO Patrick Delany declaring that the new format will be used for select games as the pay TV broadcaster prepares to launch a “Netflix of sport’’ offering, reports David Swan in The Australian. Delany, speaking at the Telstra Vantage conference in Melbourne, said that some but not all games will be broadcast each weekend in 2019 at 20 times the resolution of standard definition. “Cricket is easy to do… It’s expensive, but easy,” he said. “There aren’t a lot of 4K cameras in Australia. But there are enough to do one game [per weekend]. Once we move into the regular season of AFL and the NRL, we’ll do it for selected games and we’ll build it up and get more cameras hopefully. Patrick Delany’s desire to create a ‘Netflix of sport’ in Australia will live or die on a few critical decisions. At the top of the list is how it’s priced, reports John McDuling in The Age. The Foxtel chief executive on Thursday for the first time likened the heavily anticipated, sport-based streaming product he has been working on to Netflix, the streaming juggernaut that has disrupted legacy pay TV providers around the world, including in Australia. Netflix (which does not stream live sport, and insists it has no plans to do so) has been on a meteoric rise in recent years, in part due to its cheap and simple pricing. The Daily Telegraph has announced Supercoach BBL will be back for 2018-19 and will launch soon. So to get your study started, here is the scoring system for the upcoming season. The system is unique and exclusive to SuperCoach BBL, developed in consultation with Fox Sports Stats and News Corp stakeholders. Whatever you do, stay out of the city this afternoon, reports Chloe Booker in The SMH. And definitely don’t drive anywhere near Punt Road, if you can avoid it. Traffic chaos is set to ensue as almost 130,000 football fans descend on the city for sold-out AFL and NRL preliminary finals. The MCG is expecting 97,000 footy fans to flock to the Richmond v Collingwood match, while about 25,000 rugby league fans are set to attend AAMI Park for the Melbourne Storm v Cronulla Sharks game, and around 2,500 Collingwood fans have tickets for a live streaming of the final at the Margaret Court Arena.